Understand cancer to find new hope! October 27, 2012, "Philippine 2012 Health Journey" continuing its success from ILOILO, now on its way to carry on the forum at next station, CEBU. Contents: Cancer and Medical Knowledge, introducing current international advance anti-cancer technology. therapy and multi-disciplinary therapy for tumor in China. Cancer is one of the diseases being combated internationally. 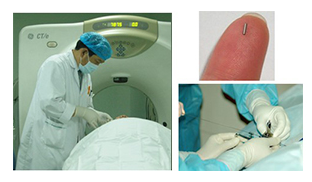 Guangzhou Modern Cancer Hospital in China possess the most advanced 12 major treatment against cancer and also have the most experienced and authoritative multi-disciplinary experts as team. Oncology expert Professor Peng XiaoChi will be introducing the principle behind the treatments against cancer along with their uses, such as Minimally Invasive Embolization, Particle seed implantation, Ar-He Knife Cryotherapy, Photodynamic, and Bio-immunotherapy, during his medical forum lecture. At Guangzhou Modern Cancer Hospital in China, there are already several Filipino cancer patients that have been treated. Professor Peng XiaoChi will share with us some of these exciting stories on how to obtain hope, and also answers to the problem regarding on how to seek help from Guangzhou Modern Cancer Hospital. 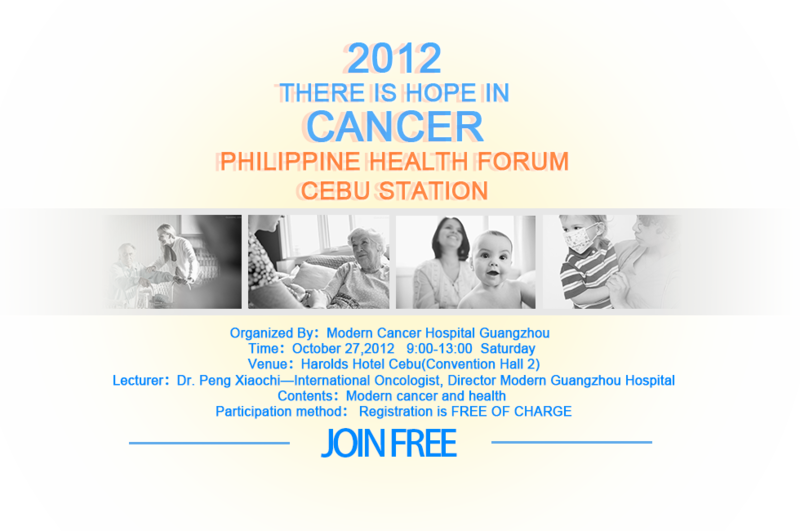 On August 29, 2012 cancer health forum of Philippines launched at ILOILO CITY. 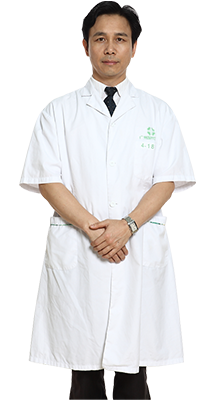 Dr. Peng Xiaochi, chief of oncology department from Modern Cancer Hospital Guangzhou and Mr. He Langbing manager of Manila office of Modern Cancer Hospital Guangzhou were invited as the guests to attend the launching ceremony. Dr. Peng Xiaochi delivered a medical lecture on Cancer technologies of Modern Cancer Hospital Guangzhou and was interviewed by mainstream media of Philippines, interpreting views on cancer health issues and medical development of cancer.